I don't have a boyfriend, but I have to pretend I do. I have to figure a way out. I lie and tell him I have a boyfriend. So now I need a fake boyfriend. The only person who comes to mind is my neighbor. I don't even know if he is gay, but he sure is hot. I'd sure as hell let him tie me up. Can we pull off our fake relationship without pulling off each other's clothes? Or will this relationship blossom into something real? 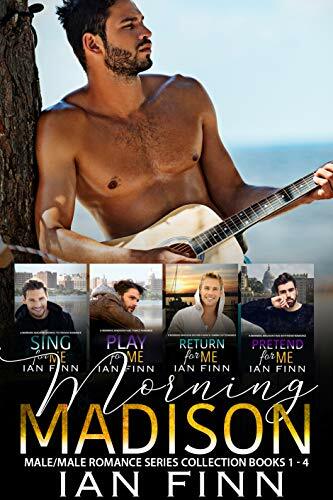 This Morning Madison Series Box Set contains books one through four of the Morning Madison series, which are standalone male/male steamy romance books that can be read in any order but are best enjoyed together, and with a big glass of water nearby due to so much heat in addition to all those feels! They combine humor, heat and heart, and they have no cliffhangers and very happily ever afters. For those who have already read the books when they were first released, this box set contains updated and edited editions that include expanded story lines and even steamier scenes! 4) Pretend for Me: A Fake Boyfriend Romance.